Buyers looking for the best small car in its sector are being asked to take Note as Nissan announces final prices and specifications for its innovative new B segment challenger. 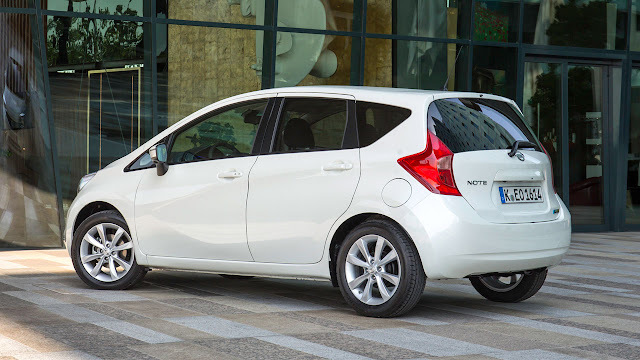 Completely redesigned from the ground up, the new Note is built at Nissan’s Sunderland factory in the UK. Among the Note’s many highlights are its Safety Shield technologies, linking three safety systems to create a comprehensive driver assistance protection package. Monitored by a unique rear camera that integrates its own ‘wash and blow dry’ facility to keep the lens clean, it works to keep drivers fully informed of their immediate surroundings. Also making its sector debut is Nissan’s acclaimed Around View Monitor, a feature that provides drivers with a remarkable 360-degree bird’s eye view to make reversing a worry-free affair. Three engines are available from launch: a 1.2-litre three-cylinder unit that generates 80PS, a 98PS 1.2-litre supercharged DIG-S and a 1.5-litre dCi diesel that produces 90PS. A CVT transmission is available on the 1.2-litre DIG-S engine. The new Note’s four-model range starts with the entry-level Visia from £11,900 that features a comprehensive equipment list including Idle stop/start, front electric windows, remote central locking and cruise control. Acenta models start at £13,250 and add alloy wheels (15-inch as standard, 16-inch on DIG-S), air-conditioning, Bluetooth and a sliding rear seat bench. 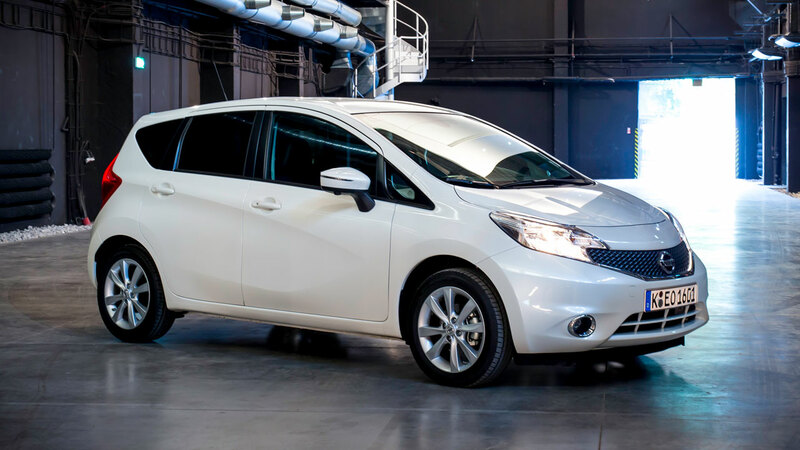 Acenta Premium variants start at £14,150 and feature NissanConnect, climate control and automatic lights and wipers. Acenta Premium models will also be available with the option of Around View Monitor and the three Nissan Safety Shield technologies for just £400 extra. 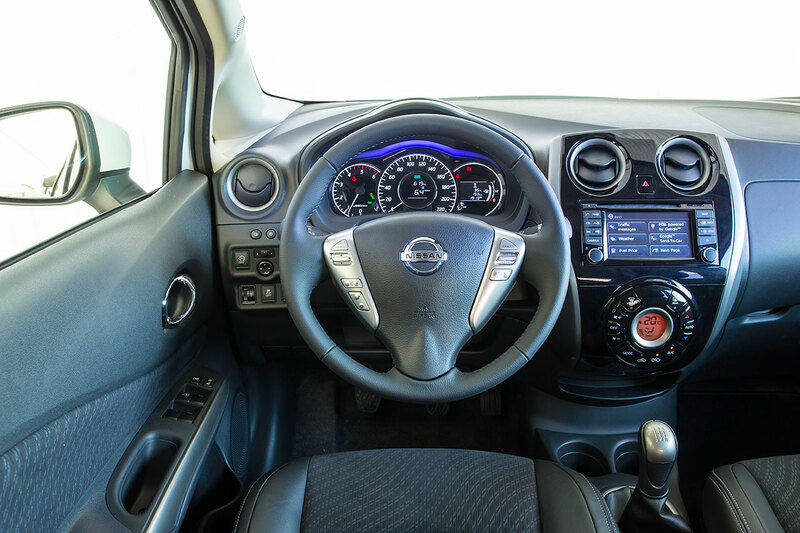 The range-topping Tekna model starts at £15,950 and features 16-inch alloy wheels, part-leather seats, Around View Monitor and the three Nissan Safety Shield technologies as standard, along with Intelligent Key with start/stop button, leather steering wheel and automatic air conditioning. The Tekna model is also available with a Dynamic Styling Pack for an additional £800, comprising unique alloy wheels and deeper front and rear aprons. All DIG-S models come with a unique suspension and steering set-up along with 16-inch alloy wheels. Available to order now, deliveries of the new Nissan Note will start October.